Combine eggs, milk and melted butter in a large bowl. Beat well. Add flour and salt. Beat again until mixture is smooth. Refrigerate batter for one hour. Stir. Heat an 8 inch (20 cm) non-stick frying pan over medium heat until water droplets sizzle when sprinkled in the pan. Spray pan lightly with cooking spray. Pour about 1/4 cup (60 mL) of batter into pan all at once. Quickly tilt and rotate pan to coat the bottom of the pan with batter. Cook until bottom is slightly browned, about 45 seconds. 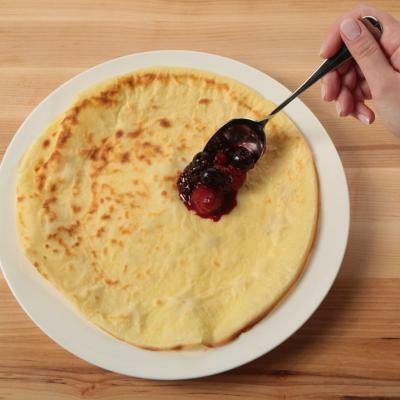 Turn crêpe over with spatula and cook 15 seconds longer. Transfer to a plate. Repeat with remaining batter. 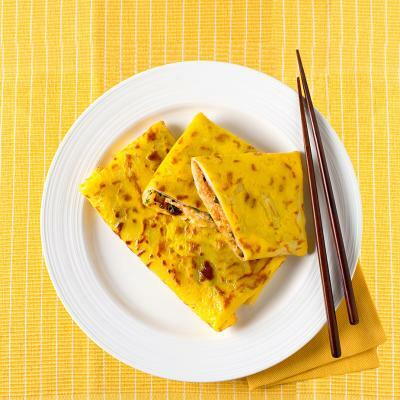 Separate crêpes with pieces of waxed paper. Add more cooking spray if needed. In a small bowl, combine peanut butter and jam. 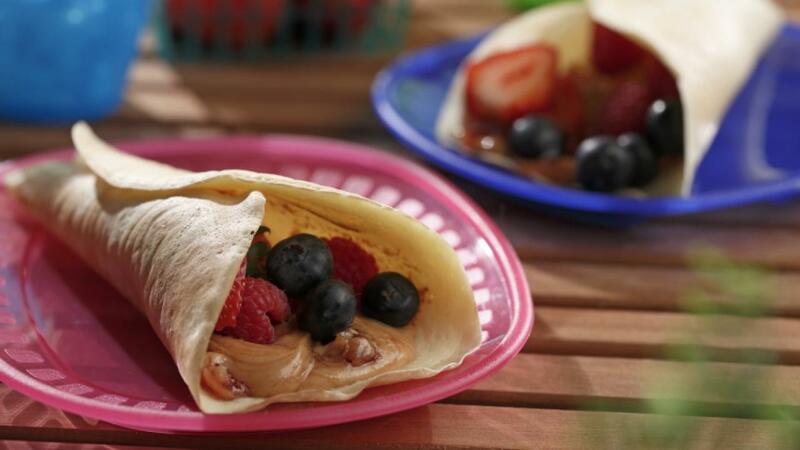 Spread 2 to 3 tsp (10 to 15 mL) of peanut butter mixture on each crêpe. Top with fresh fruit. 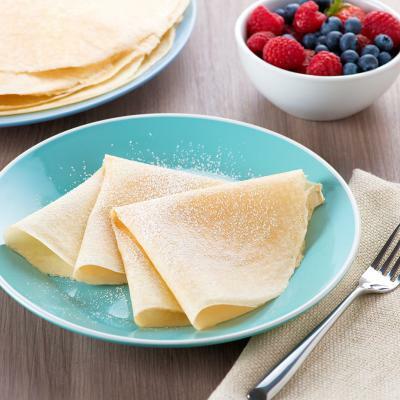 Fold crêpe into triangle or roll up into tubes. Serve warm.